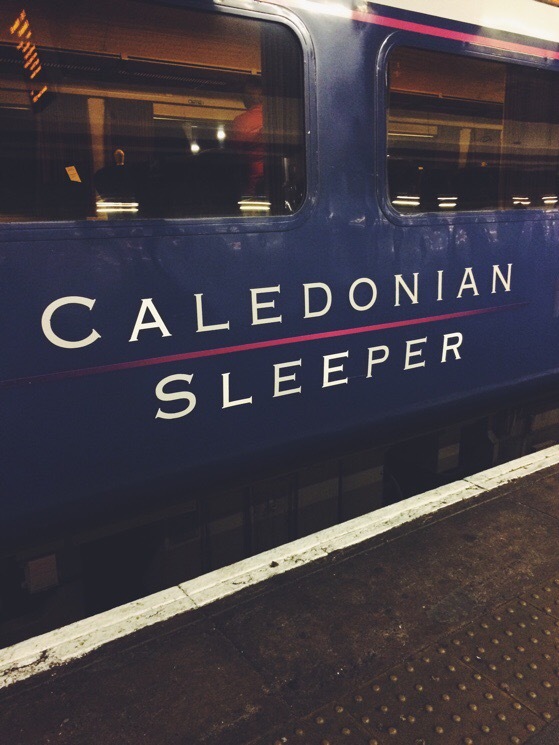 I’ve taken a lot of trains during my time in Europe but this year for the first time I took the sleeper train from London to Scotland. I’ve been super curious about this experience for a while, so I was excited to see what it was like. I opted for a “single berth” instead of a double, which is more expensive than sharing but not as expensive as a first class berth. 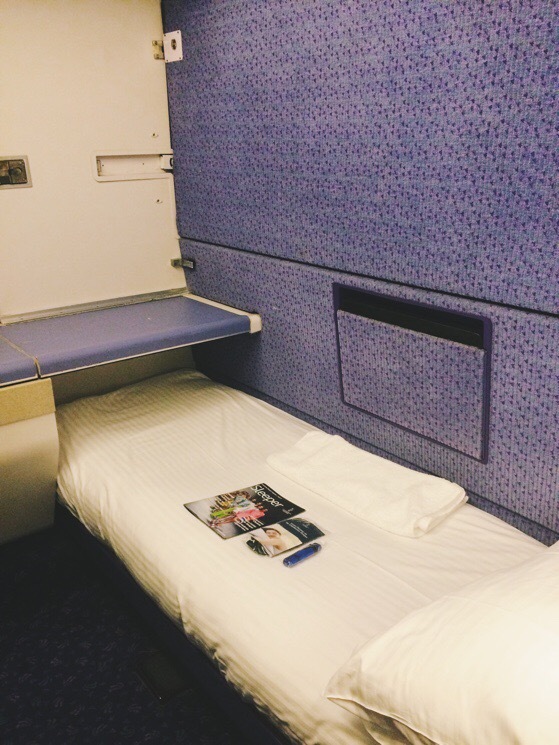 Ideally, I think it would be great to do this with a friend so you could get the cheaper double berth, but not have to sleep in a tiny room with a stranger. 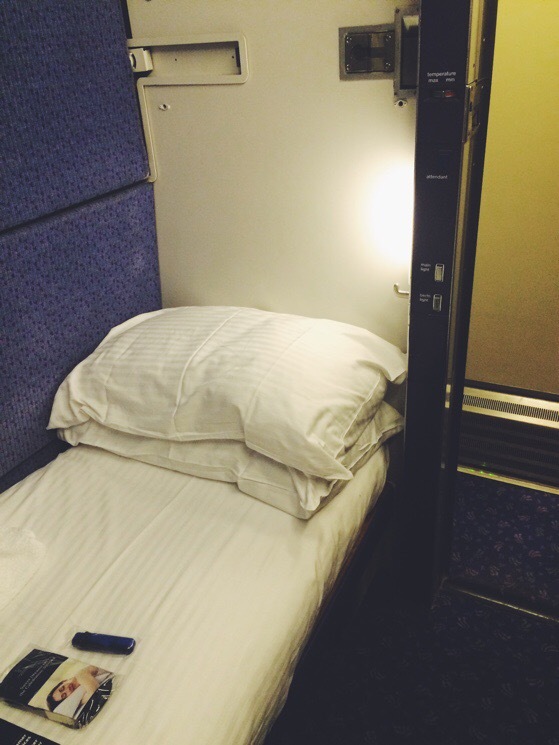 I was super tired after a day full of meetings in London, so I was excited to crawl into my little bed once I got on the train. It was about 9pm when we left London and I read for a bit before falling asleep. Also, each car has an attendant who makes sure you are awake when your train reaches its destination. 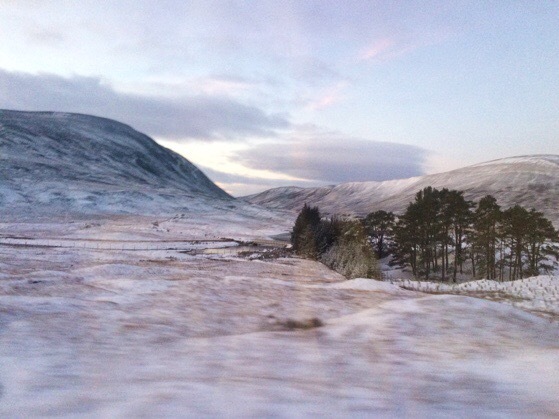 He brought me a cup of tea and let me know when we were about thirty minutes out from Aviemore. 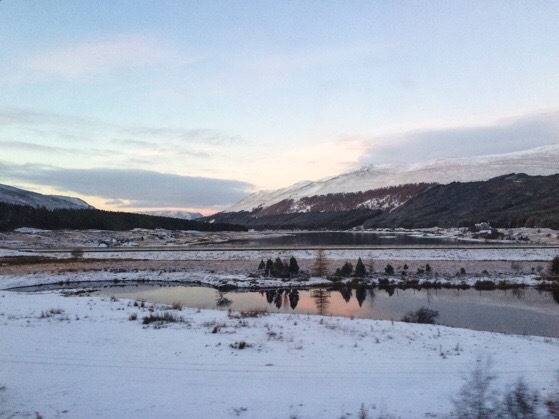 I got to see the sun rise over the mountains from the train windows. The bathroom was just down the hall from me and there was a dining car where you could get a full breakfast if you wanted. I have always loved being able to fall asleep while traveling and then to wake up somewhere new and far away. I think that is what I love about cruising. We know several folks who do the trip to London this way in order to save getting a hotel in London. I would definitely travel this way again. 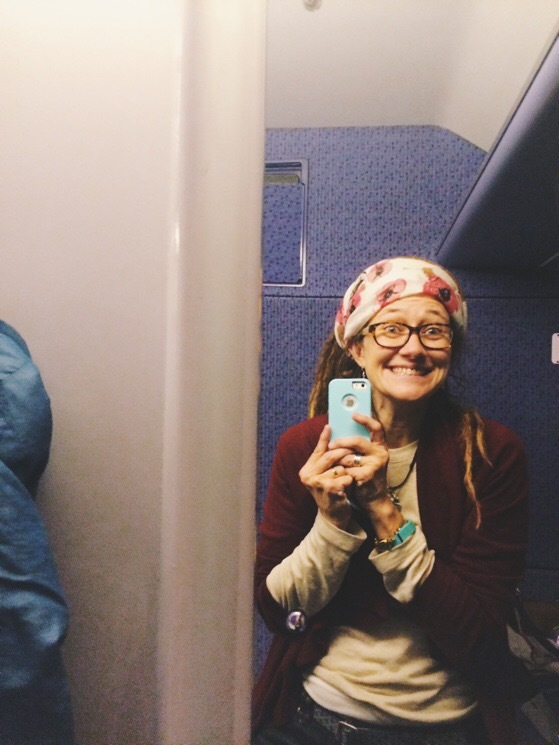 Do you have any questions about the sleeper train? Or about train travel in the UK?? How far in advance did you need to book your trip? Alison, this is so interesting. 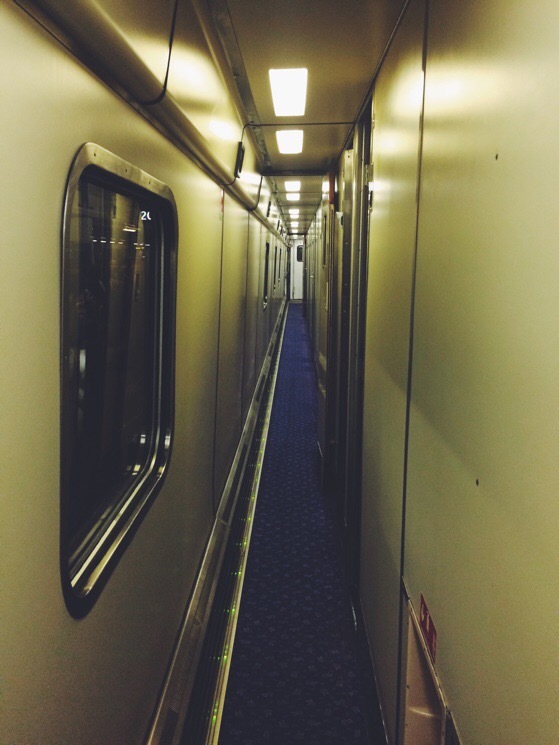 I’ve always thought it would be fun to ride in a sleeper compartment of a train. You are living such an incredible life!